The success of FKA twigs says as much about shifting public tastes as it does her unique style. It’s an interesting statement on musical evolution that today’s mainstream pop often sounds identical to the experimental noise bands on those cassettes I used to order in junior high, out of photocopied mail-order catalogues from obscure European labels. The experimental music of that era would rarely even make it onto late-night college radio; today it receives over a million YouTube hits in a week. The success of FKA twigs purports to have caught the music industry off guard, but it’s not rightly as surprising as one might think. Like any movement, the undercurrents and undertones were there for years; her success is partly twigs’ own talent and artistic courage, but also the product of a listening public whose tastes have finally evolved to handle the sonic dissonances that experimental and noise musicians have been playing with for decades. What startles is not so much the unexpected success of her sound, as its remarkable similarity to the artists on those late 20th century cassettes, now long forgotten if indeed they were ever known in the first place. Sounds have changed perhaps -- to the finely honed art of sonic dissonance twigs brings a uniquely R&B angle -- but more striking is that tastes have changed too. Shifting public tastes are an important part of the story here, and heavily implicated in the success of twigs’ music. There’s something of our cultural era in this. Forget wit or stylistic virtuosity: today’s television drama is marked by an almost over-the-top focus on densely dramatized, if increasingly sparse, dialogue. The camera zooming in on the twitching muscles of a chiseled jaw as a key character prepares to speak; the moment of hanging drama indelibly drawn-out; the lingering shot of a furrowed gaze; the tension rising in tune with the soundtrack; and then the utterance of a single trite, over-dramatized line. And pan back to the next character, and repeat. Today’s pop has become the musical equivalent. It’s not about appreciating the complexity of a song; not about the rise, climax and denouement of a systematically articulated theme. Instead it’s about the vocal crescendo; the dramatic shift in tone; the single low isolated beat that emerges for ten seconds; the crescendo that shatters the silence. Gone is the era of following a single idea from start to finish; instead we are become an era of moments, punctured by instants, sliding into more moments. It’s not a bad thing – every era has its style - but it’s worthy of reflection. It’s a style twigs has mastered in full form on her newest EP, M3LL155X (pronounced 'Melissa'). "Figure 8" opens with the full suite of twigs’ trademark style (insofar as such a style can be said to be a trademark). There’s a weaving of high-pitched vocalization, layered over and under and through layers of instrumentation. The musical side of the track is comprised of carefully balanced interventions that are carried by the vocals, rather than vice versa as in traditional pop music; a millefeuille montage of sonic harmonies. "I’m Your Doll" carries the listener into more dissonant, experimental territory; here the vocal power of the track takes precedence over instrumentation. 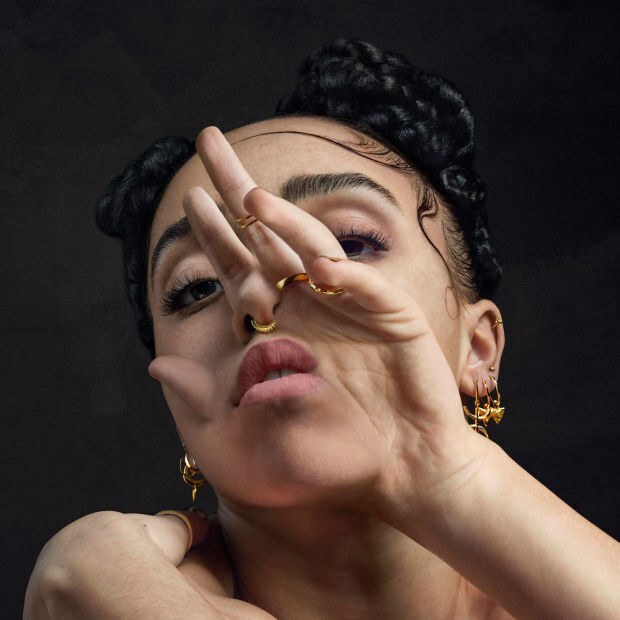 Part of FKA twigs’ unique talent lies in her ability to know how to carry the listener through this style of pop. The dissonance of "I’m Your Doll" merges into the more stable opening synth rhythms of "In Time", briefly returning the listener to a stable point of musical reference before fragmenting once again into the fluid dissonance of sampled vocal layers manipulated with deft and gentle skill, the synth rhythm still hinted at underneath it all, just when you think it’s been forgotten. Likewise, "Glass & Patron" returns to a predominantly dadaist, vocal zone, alternating between twigs’ famous whispered tones and her high-pitched vocal utterances; instrumentation and music deployed gently and sparingly. In this space, music is the aberration. The listener catches hold of twigs’ voice and follows it through a hyperreal obstacle course where music is the distraction, and the reward lies in following twigs’ vocalizations as they shift and rise to the next level; then rapidly descend into whispered cadences before beginning a dramatic ascent up the vocal scale once more. Her voice is the prize; the listening experience a roller-coaster ride through the full range of experimental electronics that poke and jab at it from the sidelines. The final track, "Mothercreep", returns to a more stable zone, discernible lyrics laid over a carpet of gently swelling rhythms. A lot has been written already about the video film which accompanies this EP, and especially its feminist messaging. The most striking part of this is often ignored: the opening three minutes featuring Michele Lamy, elderly jeweled fingers weaving in a wrinkled, vague and creaky approximation of the tightly choreographed vogueing twigs will pick up later in the piece. The entire film engages with ideas of birth and creativity, but it’s the subtleties that matter here: opening with an elderly woman; a dancefloor runway in a darkened woods where dancers’ hip-hop moves are more horror than hip. The underlying message throughout remains that Figure 8 -- symbol of eternity and rebirth -- as twigs, in the closing piece ‘Mothercreep’, comes to terms with her own understanding of being the ‘alpha female’ in her world. In an interview with Complex, she described the track as an apology to her mother. The effect of the album is soothing and challenging all at once; full of complex messaging yet equally suitable as backdrop for studying; worthy of lingering concentration on each and every note or dozing off to on an airplane. But then, isn’t that what pop music is?